Tonkatsu Anzu, Japan Food Town @ Wisma Atria: Farm-to-Table Deep-Fried Pork Cutlet. Sounds Healthy. One of the 16 concepts at Japan Food Town, Wisma Atria, Tonkatsu Anzu originated from Kyushu Japan and has outlets in Malaysia and Thailand. On its website, it boosts to be a farm-to-table concept. They grow their own pigs and vegetables in their farm and prepares everything from fresh Kyushu produce. Even their tsukemono, pickled daikon (white radish), is made in-house. The white cabbage is grown carefully in the mountains and breathes fresher air than I. It’s cut into very thin strips to remain crispy. The waiter thoughtfully informed us that there are two creamy dressings–one sweeter and one sourer- we can drizzle on the cabbage, which is also FREE-FLOW. Very delicious. 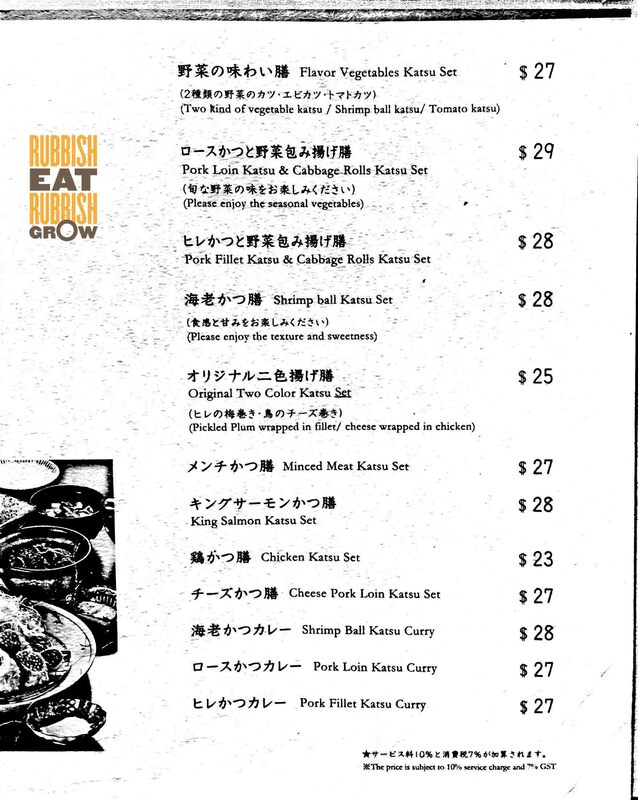 Their pork tonkatsu set ranges from $24 to $44, using kurobuta black pigs grown in their own farms in Kyushu that feed on special compound grains. 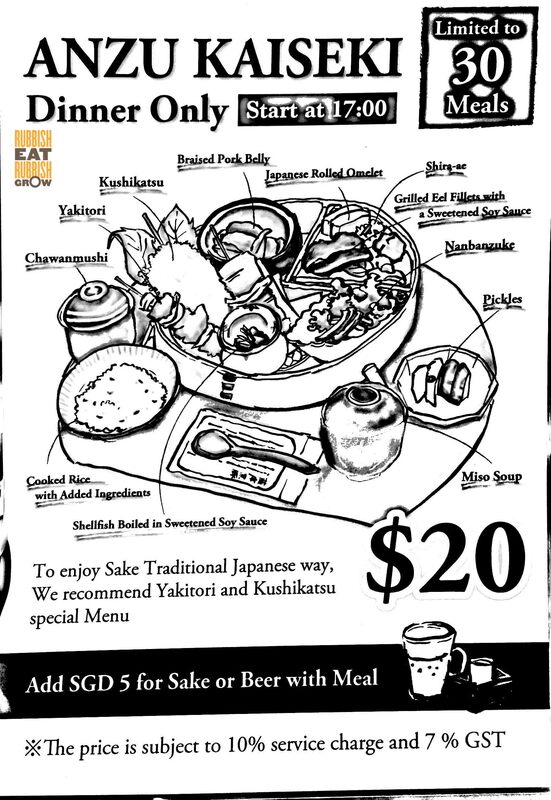 They also have a more reasonably priced kaiseki set ($20, above), limited to 30 sets a day. The kaiseki set comes with chawanmushi, yakitori, kushikatsu, braised pork belly, tamago, shira-ae, unagi, nanbanzuke, pickles, miso soup, shellfish in sweetened soy and rice. It gives a good value but you can’t really taste the specialty of the shop. The piece of pork they give is too tiny here. And everything is tough. The set also comes with dessert, a matcha warabi mochi. The authentic kind that is slightly gelatinous and melts in the mouth. Really excellent. 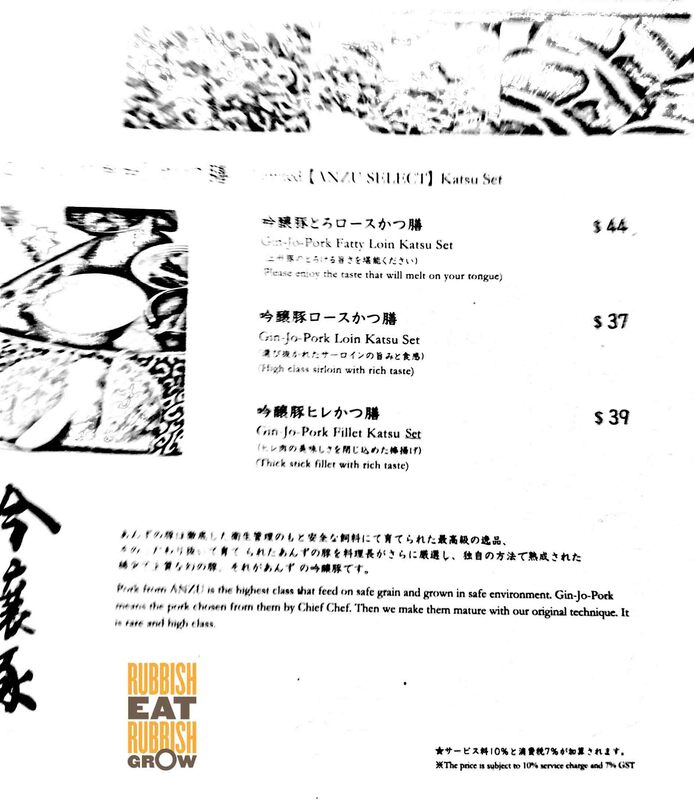 Besides the kaiseki set, we also ordered the most expensive set, gin-jo pork fatty loin katsu set ($44). Gin-jo pork means that the pork is chosen by the Executive Chef himself. This set is rather disappointing, considering that it is so expensive but there is much fewer things to eat that the kaiseki set. The kaiseki set has dessert but this set doesn’t?? The pork itself is nice, crispy and not oily, but it is also slightly tough and bland. Not worth the $44. For any set, you can either choose white rice or multi-grain rice. The Japanese rice is grown where natural water flows. And they use a traditional cauldron to cook it. It is also FREE-FLOW. The rice is amazing. It glistens like pearls and tastes fantastic. I had 3 bowls. Compliments to the waiter. There was only one waiter when we were there. He was super busy but he gave us all the information we asked. And he took good care of us. But we’re not sure if we will come back again. 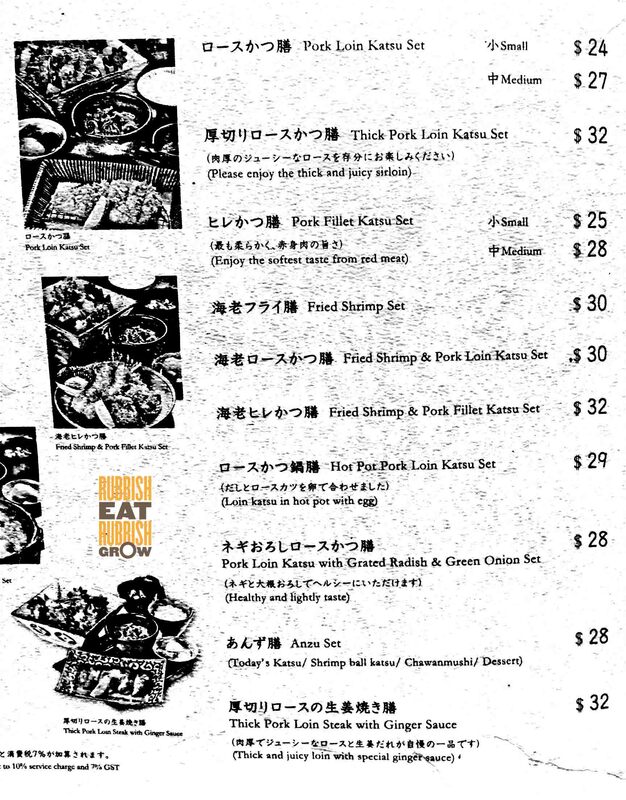 The food is not bad but it pains us to pay $44 for a small piece of pork. Maybe if we return, we’ll order a cheaper set. We paid $92 for three persons.